SNAFU! : Blast from the past. 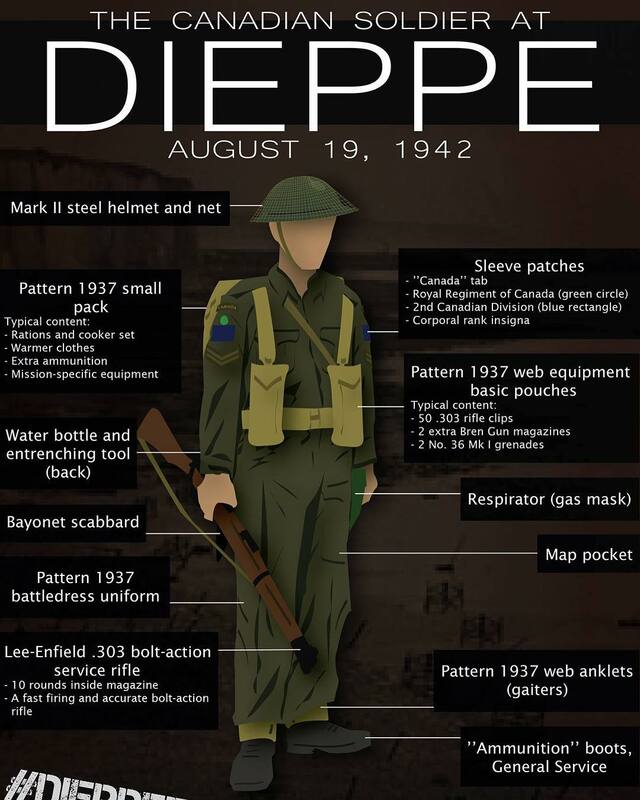 Dieppe Raid Loadout via Canadian Army. Blast from the past. Dieppe Raid Loadout via Canadian Army. 2017 marks the 75th anniversary of the Dieppe Raid, also known as Operation JUBILEE. Canada’s experiences in war have been marked by great triumphs but also by harsh setbacks. The Dieppe Raid during the Second World War was one of the darkest chapters in Canada’s military history. It did, however, help lead to important lessons being learned. The Dieppe Raid took place on August 19, 1942, with almost 5,000 Canadians coming onshore on the heavily defended French coast. With British and American Allies, the Canadian troops fought valiantly against the German forces during Operation Jubilee –the Dieppe Raid. The Canadian forces sustained heavy losses with 916 making the ultimate sacrifice and some 1,950 becoming prisoners of war. I saw this and then did a little research on this raid. The USMC should find a good book on this operation and make it required reading. Funny enough it touches everything I've been talking about. It was a BIG raid even by today's standards. It was an assault on an enemy held PORT! While not successful it should be studied from A to Z. Do your own reading (I know I will) but this is one for the ages that can help us in future fights...you can often learn more from failures than you can from victory.